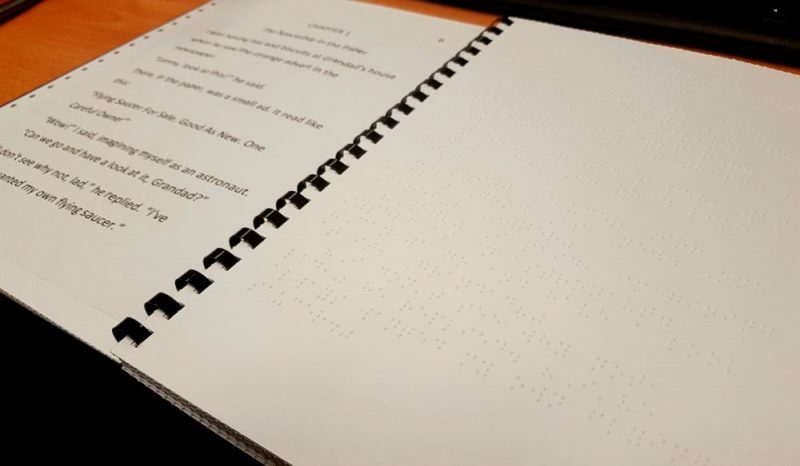 Twin Vision books allow a sighted reader to read alongside a Braille reader. This is great for those learning to read and looking to practice with simple text on something other than school books. We offer both uncontracted UEB (formerly known as Grade 1 Braille) and contracted UEB (formerly known as Grade 2 Braille) This is a new service to NCBI’s Library and we can currently tailor specific needs to each individual.